Professional, experienced family law attorneys have utilized these long-held principalities of professional consideration, politeness and high-standards well before the term Cooperative Law existed. The family law team at Gum, Hillier & McCroskey, PA honors these principals. These principals provide a direct avenue for efficient work and effective representation during the dissolution of a marriage. In every case, cooperation decreases costs and promotes lasting resolutions for your family. 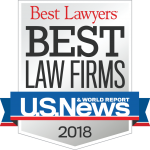 In the rare circumstance where cooperation and professionalism do not promote lasting agreements, the attorneys at Gum, Hillier & McCroskey are, first and foremost, trial attorneys. The time to fight may be during tough negotiations or in court, but not cooperating on routine matters accomplishes only greatly increased attorney fees because it requires both attorneys to do everything the hard way. Cooperation by the attorneys, as well as the parties, particularly during the discovery phase, is always in the best interest of the client. Ask your lawyer about the benefits of professional, cooperative approaches in family law matters during your initial consultation.